What other games would you like to come out of this partnership? Nothing I'd enjoy, most likely. Marvel's milking its properties without giving them love and warmth. SQEX might do something to change that, but if Marvel has any say in its artistic direction outside providing assets/licence and similar things, I'm not holding high hopes for or expecting anything better than the increasingly putrid Cinematic Universe offerings. At least it's not a Kingdom Hearts and Marvel crossover. Thank goodness. I was so worried for a minute there. This is much better. Nothing wrong with Square-Enix's western division making some Marvel games. I'm guessing this will join the likes of Spider-Man which is being developed by Insomniac Games for Sony. Starting with the Avengers and whatever else follows. They weren't kidding around when they said they were bringing back games. I'm... moderately interested but not sure I'll enjoy it. I'm not a big fan of Marvel (or superheroes in general) but I admit they do have a lot of potential for some fun games. I'm more wary about Square's side of this. Don't get me wrong, Crystal Dynamics is a competent studio but... let's just say their approach to game design doesn't appeal to me. Tomb Raider reboot was one of my biggest disappointments last gen.
Don't get me wrong, Crystal Dynamics is a competent studio but... let's just say their approach to game design doesn't appeal to me. Tomb Raider reboot was one of my biggest disappointments last gen. I'm more not a fan of the TR series' new direction. Mind you, the only experience I've had with Crystal Dynamics is their first reboot of Tomb Raider on PC, with Legend to Underworld. Legend was great and stands as one of my favourites, Underworld was alright if showing its ragged edges, and Anniversary made several missteps and was a bit too buggy to be enjoyable (can never forget the innumerable times it forgot my saves until I started a game and left it, or the maybe four times it dumped me into cutscenes after I watched one then tried to load my save, and then there was the time all the Lost Island cutscenes unlocked before I'd even halfway completed the Natla's Mines stage). Eidos Montreal (Deus Ex series) is also involved in this project, they could balance out Crystal Dynamics. I also enjoyed the LAU trilogy quite a bit, especially Anniversary and Underworld had its moments of brilliance. But they already showed signs of the direction they wanted to take the series in. Legend already had streamlined tombs, qtes, more focus on shooting, trying to make Lara more "human" by giving her mommy/daddy issues, etc. They backed away a bit in Anniversary but then took a sharp turn with the 2013 reboot, pretty much taking away all the elements that made old TRs great, that is exploration, puzzles and challenging platforming. The game tried to be an uncharted-style action adventure, but for me it fell really flat. It had the same problems as Uncharted (too much shooting, streamlined puzzles, levels and platforming) but failed at what made Uncharted good, that is characters, storytelling and set pieces. And Lara's character was just... ugh I want to forget. marvel films are ones of the most generic and bland superhero movies imo (iron man, winter soldier and guardians of the galaxy are exceptions), there's basically no emotional weight in them, but since we're talking about games i think we might get something fun here. Well I'm a fan of SE and Marvel so I'm definitely eager to find out what comes of this partnership. I'd never tried a Tomb Raider before Legend, and when I tried an old one I found the controls horrible and the environments confusing enough that I got lost and stuck. I remember the first time I played Legend. 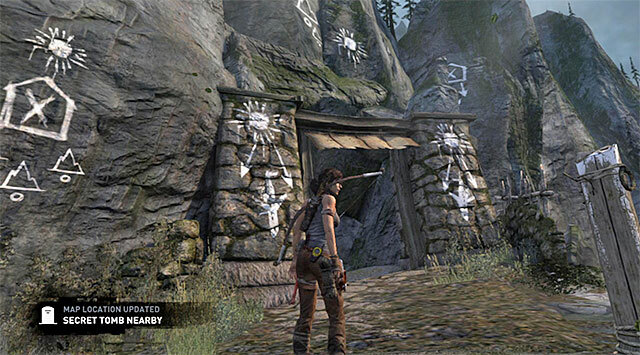 I remember the first time I encountered the room-sized puzzles, tricky environments, and working out ways of solving things so I got the maximum amount of that wonderful banter between Lara and her assistants (I sorely missed that in Anniversary and Underworld) - it was a revelation, and I'll certainly never forget the incredible time I had in (for different reasons) Ghana, Kazakhstan and Nepal. That's the only game I've ever finished completely and still replayed (all artifacts, all time trials complete, all extras unlocked). The puzzles in Anniversary are also fascinating (but I wish there were fewer enemies and an auto-fire thing), and Underworld did its best to create truly gigantic and involved puzzles even if that meant they became rather obtuse. I understand how old TRs may be difficult to get into from a modern perspective. I won't defend the tank controls - they're very dated - but there is one thing they got right that all Crystal's games failed at: consistency. The controls were very precise, Lara did exactly what you told her, nothing more and nothing less. Her jumps had always the same length, height and physics. This is the basis of good platforming. In Crystal's games jumping feels very automated. Even if you're too far or miss a bit, Lara will be drawn to the ledge as if she had magnets in her hands. Regarding confusing environments, well it's something that comes down to personal preferences. For me the level-sprawling puzzles that required careful exploration of every nook and cranny were part of the appeal of the old games. I can admit that some of them could be a bit too obtuse, but I'll take that over the reboot's laughable one-room tombs and ridiculous hand-holding. Again, I think they were on the right track with Underworld but then instead of building up on this, they ditched it altogether. Also, I find your remark about too many enemies in Anniversary a bit weird. There were already way fewer enemies than in Legend. It was only a feeling. Maybe it's the fact they're more aggressive, and you can't outrun them by climbing stairs. I found the raptors, gorillas and crocodiles absolutely terrifying.